Methamphetamine has become one of the drugs of choice throughout California. It is referred to as Meth, crank, speed, and crystal meth. 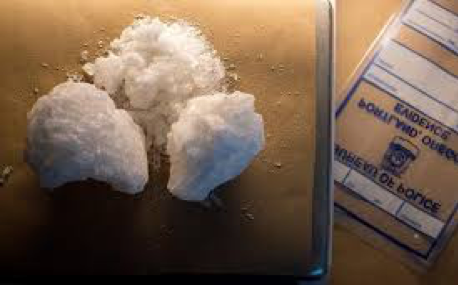 Methamphetamine charges since Proposition 47 passed treats possession as a misdemeanor offense, significantly reducing the possible criminal penalties. You possessed a usable amount of the drug. Possession can be actual or constructive. You have actual possession of something when it is physically on your body. This includes meth that is in your pockets, waistband, wallet, or purse. You have constructive possession of something when you have the authority and power to control property. For example, you would be considered to have constructive possession of methamphetamine that is found in your car or home. This is because you have control over your property. You must know that you possess the methamphetamine. If you did not know that you had the drug in your possession, or you did not know that the substance you possessed was a controlled substance you cannot be convicted of possession. In some cases, a friend or acquaintance may leave the drug in your car or home. If police find this drug you can assert the defense that you lacked the required knowledge to be convicted. What is a usable amount of a drug? According to California law, you will be considered to have a usable amount if the “quantity…is enough to be used by someone as a controlled substance…to affect the user.” This basically means that you cannot be convicted if you simply had trace amounts or methamphetamine debris. You must have enough of the drug to generate an altered state of mind. Under Proposition 47, possession of methamphetamine is classified as a misdemeanor offense. This significantly reduces the possible criminal penalties that can be imposed if you are convicted for possession of meth. In addition to reclassifying methamphetamine possession as a misdemeanor, Proposition 47 also established drug diversion alternatives for first-time offenders. California’s drug diversion programs offer first-time drug offenders the opportunity to undergo treatment, rather than subjecting them to harsh penalties. The diversion programs are intended to mitigate the growing methamphetamine and drug epidemic in California. The California drug diversion program works similar to the following; The program, which is formally known as DEJ or Deferred Entry of Judgment is available for individuals who are arrested on non-violent drug possession charges for the first time. It is important to know that possession of a large quantity of methamphetamine may be considered possession with the intent to sell. If this is the case, you will not qualify for the drug diversion program and will face traditional criminal consequences. Some criminal charges were not affected by Proposition 47 and are felonies in Los Angeles. Additionally, methamphetamine possession charges can be aggravated to a felony if you are in possession of a large quantity of the drug. The crime of possession with the intent to sell is also not affected by Proposition 47 and will generate felony charges. If you are convicted of selling, trafficking, distributing, or manufacturing methamphetamine you could face up to seven years in a California state prison. If aggravating factors are present, such as manufacturing the drug within 200 feet of a home, you could face more than a decade in prison. If the police violate your rights by executing an unwarranted search or arresting you without cause they should not be able to use any illegally-obtained evidence against you.